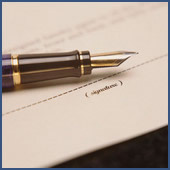 The following are terms of a legal agreement between you and LT's inc. Ship Store. By accessing, browsing and/or using this site, you acknowledge that you have read, understood, and agree, to be bound by these terms and to comply with all applicable laws and regulations, including U.S. export and re-export control laws and regulations. If you do not agree to these terms, do not use this Site. The material provided on this Site is protected by law, including, but not limited to, United States Copyright Law and international treaties. This Site is controlled and operated by LT's inc. Ship Store from its offices within the United States. LT's inc. Ship Store makes no representation that materials in the Site are appropriate or available for use in other locations, and access to them from territories where their contents are illegal is prohibited. Those who choose to access this Site from other locations do so on their own initiative and are responsible for compliance with applicable local laws. Any claim relating to, and the use of, this Site and the materials contained herein is governed by the laws of the state of Maine. The copyright in all material provided on this Site is held by LT's inc. Ship Store or by the original creator of the material. Except as stated herein, none of the material may be copied, reproduced, distributed, republished, downloaded, displayed, posted or transmitted in any form or by any means, including, but not limited to, electronic, mechanical, photocopying, recording, or otherwise, without the prior written permission of LT's inc. Ship Store or the copyright owner. Permission is granted to display, copy, distribute and download the materials on this Site for personal, non-commercial use only, provided you do not modify the materials and that you retain all copyright and other proprietary notices contained in the materials. This permission terminates automatically if you breach any of these terms or conditions. Upon termination, you must immediately destroy any downloaded and printed materials. You also may not, without LT's inc. Ship Store's permission, "mirror" any material contained on this Site on any other server. Any unauthorized use of any material contained on this Site may violate copyright laws, trademark laws, the laws of privacy and publicity, and communications regulations and statutes. UNDER NO CIRCUMSTANCES, INCLUDING, BUT NOT LIMITED TO, NEGLIGENCE, SHALL LT's inc. Ship Store BE LIABLE FOR ANY DIRECT, INDIRECT, SPECIAL, INCIDENTAL OR CONSEQUENTIAL DAMAGES, INCLUDING, BUT NOT LIMITED TO, LOSS OF DATA OR PROFIT, ARISING OUT OF THE USE, OR THE INABILITY TO USE, THE MATERIALS ON THIS SITE, EVEN IF LT's inc. Ship Store OR A LT's inc. Ship Store AUTHORIZED REPRESENTATIVE HAS BEEN ADVISED OF THE POSSIBILITY OF SUCH DAMAGES. IF YOUR USE OF MATERIALS FROM THIS SITE RESULTS IN THE NEED FOR SERVICING, REPAIR OR CORRECTION OF EQUIPMENT OR DATA, YOU ASSUME ANY COSTS THEREOF. SOME STATES DO NOT ALLOW THE EXCLUSION OR LIMITATION OF INCIDENTAL OR CONSEQUENTIAL DAMAGES, SO THE ABOVE LIMITATION OR EXCLUSION MAY NOT APPLY TO YOU.